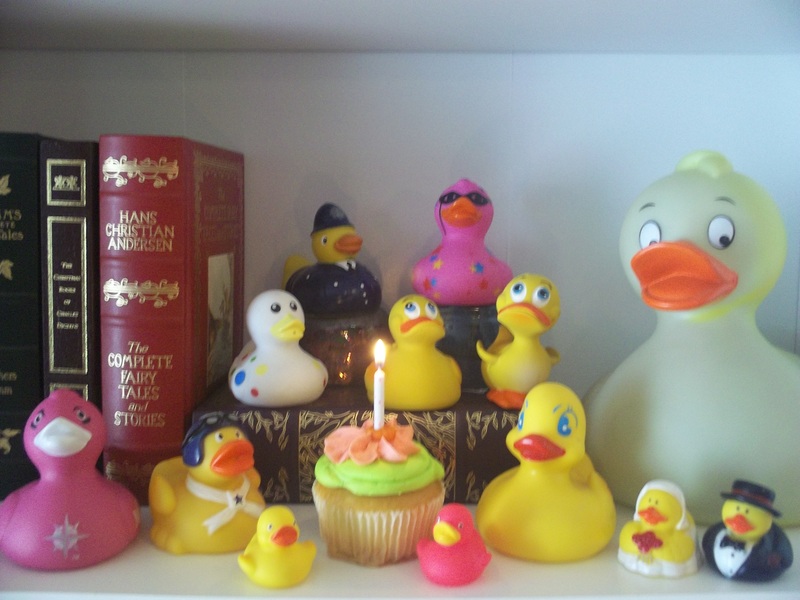 One year ago this month, I started Rubber Ducky Copywriter. Little-known fact: I never thought anyone would actually read it. Yes, there’s a point here that pertains to you. 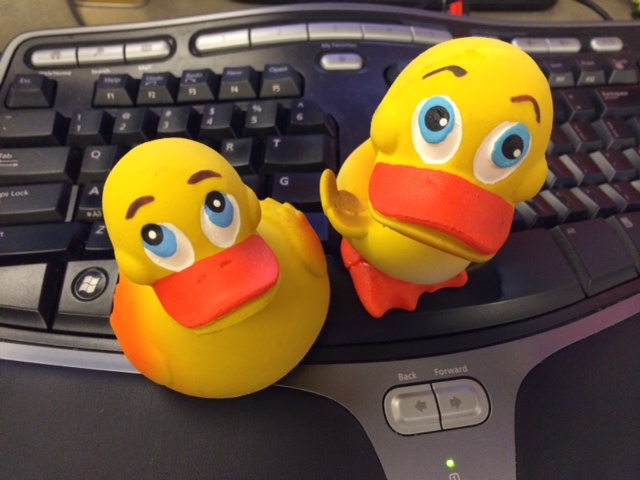 Rubber Ducky Copywriter started as a sandbox to hone my skills. And, as I had just started freelancing , it was my way of talking things out and explaining my things to myself as I learned. Before I started this one, I had three blogs, all of which were so bad even I didn’t want to read them. Why? I fell into the trap so many others do. I tried to position myself as an expert so that people would take me seriously and hire me. Building a blog is a good career move, but what’s the point of maintaining blog you can’t stand? When looking for the perfect theme for my fourth stupid blog, I came to my senses. I got angry at all these “rules” that I was supposed to follow. I was tired of all those fears that were tying my hands. What if people read it and hate it? What if I can’t think of any topics? What if I can’t compete? What if I put in all that time and work for nothing? What if my blog isn’t good enough? Sound familiar? And the list goes on. I wanted one place—just one!— where I didn’t worry about some mysterious band of gurus policing my every keystroke. Ye missed a comma! Walk the plank ye addle-brained wench! I wanted something that was built by my own hands. And written in my own voice, whatever that was. By then I’d spent so much time as a corporate copywriter, I didn’t know what my own voice even sounded like anymore—and I wanted to find it again. So I threw out the rule book. And I started a new blog. Named after the rubber duck sitting on my desk, staring at me with judgement. You’re just realizing this NOW? Dork. 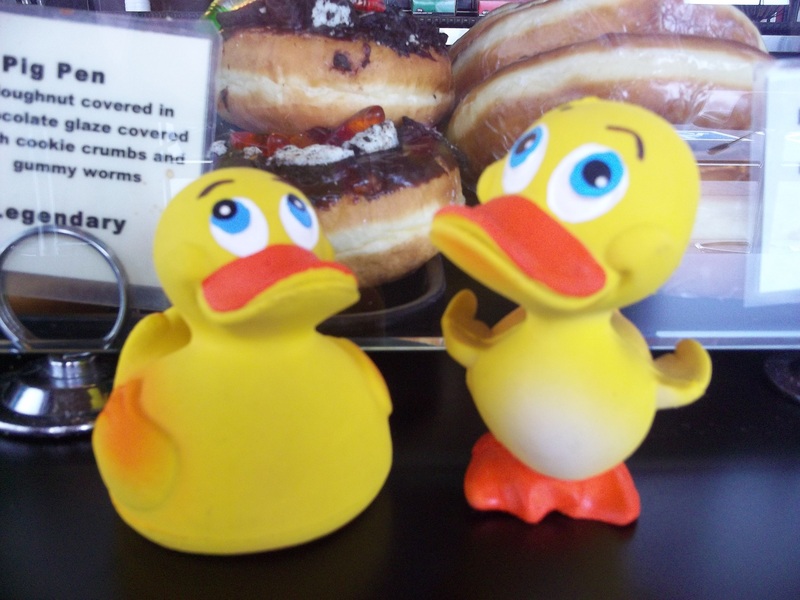 With that ringing vote of confidence from my bathtub toy, Rubber Ducky Copywriter was born. Funny thing…once I let go of my impossibly high expectations, I started having fun. And with no one editing over my shoulder, I found my voice. I’m not even going to try to dazzle you with my stats: they impress no one but me. But more important than stats, I’ve made friends. Peter D. Mallet, who always has a kind word and a fresh, creative insight. Williesha Morris, with her sweet, wonderful wit and straightforward writing style. Sarah Webb, a courageous writer and generous spirit. Jesse Lanclos, one sharp-shootin’ writer. And believe it or not, despite my errors, despite my lack of super-spiffy design, despite my lack of fancy gizmos—those mysterious gurus haven’t shown up to make me walk the plank. Nor have they made me give up writing. Nor taken away my chocolate bar. Instead (and this wows me every single time) people tell me that I’ve helped them. That what I just posted made a difference for them. If you’re still waiting to start your blog, think about why. What are you afraid of? How likely is that to happen? Then give yourself permission to mess up. To not be the most top-rated, gotta-read writer. If there’s room in the blogosphere for me, there’s room for you, too. Come back in a year to celebrate your blog’s birthday. I can’t promise you a cupcake—they don’t last long around here— but I will wish your blog a happy birthday. And if you’re stalling on another project, dive in and let me know how that goes. So, what’s holding you back? What will finally prompt you to take action? Featured on Carol Tice’s Friday Link Party. I run a small micropress, Daverana Enterprises, and one of the biggest challenges (surprisingly) has been getting my authors to blog, tweet, and maintain an author page on facebook. All of the excuses you list are what I hear from them on a nearly daily basis. I’m going to link to this article. And, most of all, I want to thank you for writing it. Thank you. I am very glad I found your blog. Thanks Ducky. By the way, where the heck is Jesse these days? Funny thing, Erica, is that I’m a bit of a techie. And so what I usually look for in a blog is insider tips and information. But what you do so well is build a sense of loyalty and community. You know, we’re all writers in it together. Even a cold, mechanically minded person such a myself needs that sometimes. Happy belated blog first birthday. Hi Erica, Congratulations on your blog and on growing wiser. Am I too late for a cupcake? Probably. My blog is not a year old yet, I started it in September of last year. It has been a huge learning curve. I am working on a better writing clips page and hope to have a few more by then. Hi Peter, thanks! Sorry, but the cupcakes are all gone. But for what it’s worth, they were yummy. I really enjoy your blog. And I think you’re a terrific writer. Besides, we should all be working to add to our blogs and portfolios. It’s always a work in progress. Unless you said something, I would never have guessed that your blog is less than a year old. It’s pretty great. That’s ok, I had a scone, PS. I sent you a pm on twitter. Happy 1st birthday! You’ve made it through what many haven’t – you’re like a veteran, lol. I enjoy reading your posts and your unique perspective. Please keep writing – you’re motivating the rest of us schmucks who are still trying to get it right. And congrats on the Liebster nom too! Thank you for the happy “birthday” wishes! And thanks for sticking with me. You’ve actually quite a source of inspiration to keep going. “…you’re like a veteran…” Does this make me a grown up? ‘Cause I’m actually trying to put that off for as long as possible. 🙂 Seriously though, thank you. That’s quite a compliment.